I love my hometown. Libertyville, Illinois is a great little village in the suburbs of Chicago. We have great people, schools, churches, parks, lakes, library, downtown, stores, famous former residents (Marlon Brando and Adlai Stevenson) and restaurants. 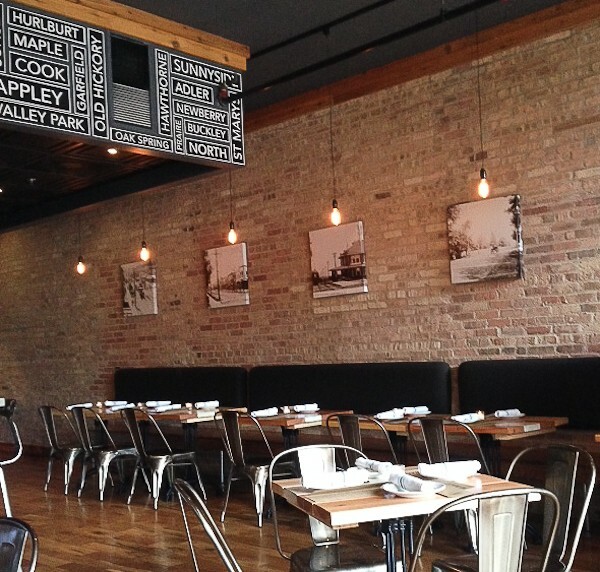 Whatever you are hungry for, just take a stroll down Milwaukee Avenue in downtown Libertyville and you will find it. Since my birthday was yesterday, my husband wanted to take me to the newest place in town, Milwalky Trace. Hanging on the walls inside the cozy restaurant are vintage photos of Libertyville. 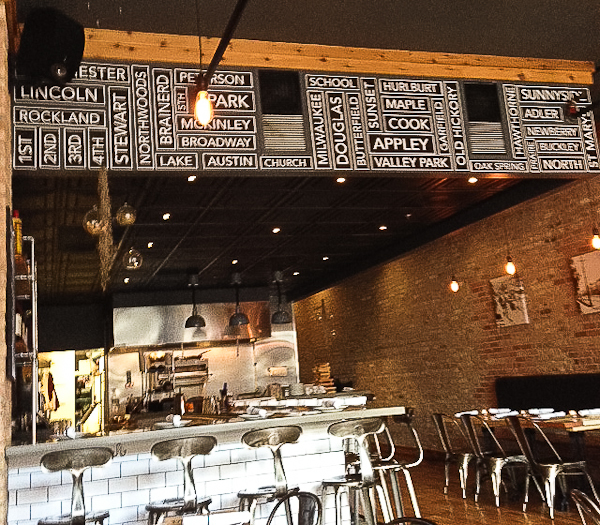 One large area on the ceiling lists names of various streets in Libertyville. 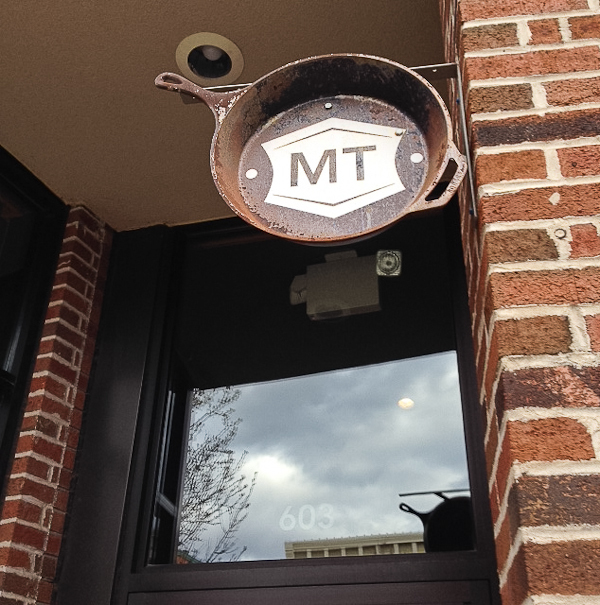 We felt right at home as we were greeted by our friendly server, Kathleen. Bill and I started with the tuna tartare. 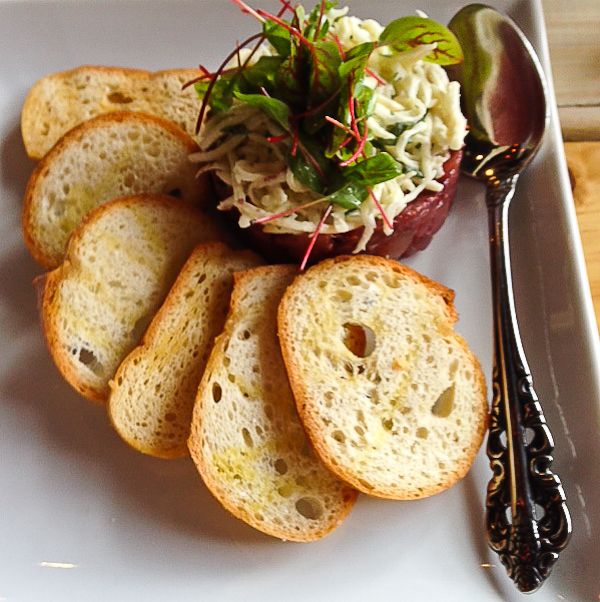 It was prepared with celeriac remoulade, tarragon, capers, red-veined sorrel, and a nicoise olive vinaigrette. Fabulous. 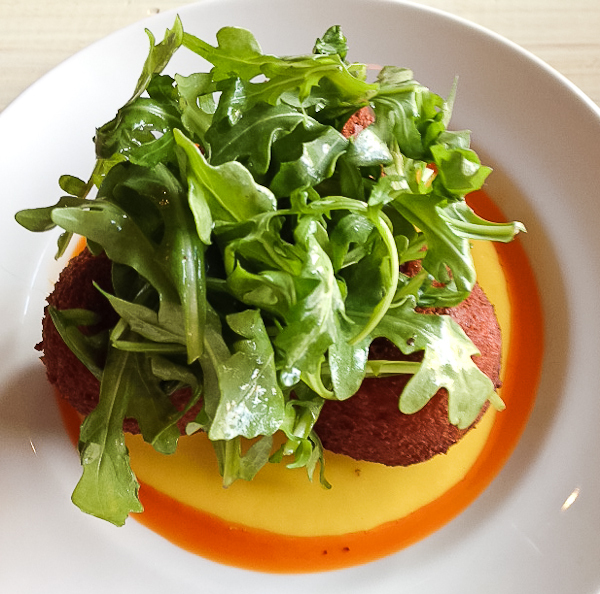 Up next was Arancini made with risotto, mozzarella, house Italian sausage, a luscious yellow pepper coulis, and covered in peppery arugula. Also fabulous. 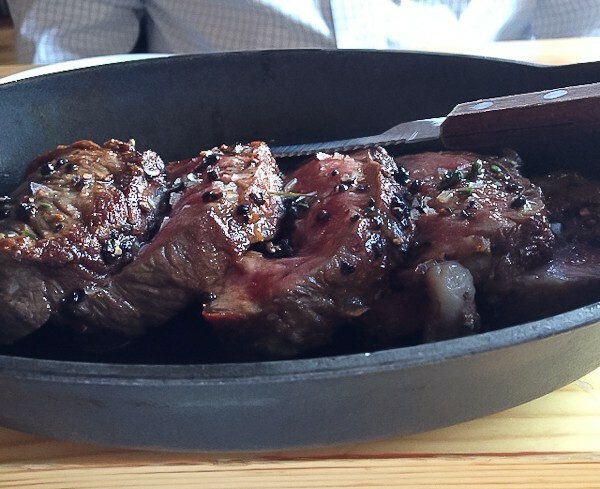 The dry-aged New York Strip Steak with peppercorns, brown butter, garlic, and thyme was cooked perfectly and just melted in our mouths. Bill had let the restaurant know it was my birthday, so when the beautiful Key Lime Pie with Blackberries was brought to us by our server Kathleen, she was smiling and wishing me a happy birthday with a candle to blow out first. The pie was covered in whipped cream and thin slices of lime. I made a quick wish before the candle melted the whipped cream. It was absolutely wonderful. When Kathleen brought the check, she had written “Happy Birthday” at the top, and Bill also pointed out something else. There was a big heart next to the pie with a price, then below it, the word “Love” (100%) letting us know that there was no charge for my birthday pie. Didn’t I tell you we had lovely people in Libertyville? I want to thank the dozens and dozens of friends and family who left me birthday messages on Facebook, private messages, emails, and phone calls. I love you all. Wish you could have been with us. 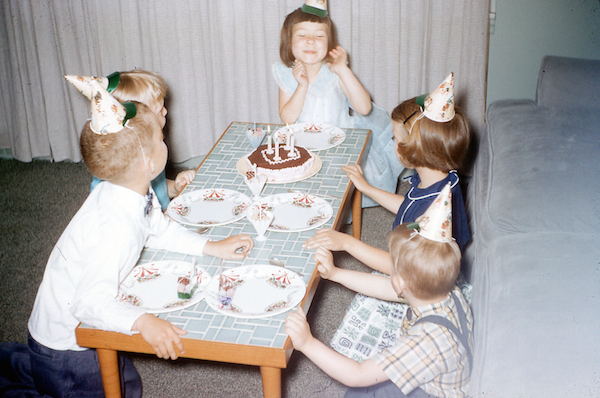 Blast from the past: This one’s for you, mom and Linda: my 4th birthday party. I think the kids are all wishing I would hurry and quit fussing with that hat and get to the cake! Looks like a lovely birthday celebration. And love the 4-year-old version of you. Looks and sounds like a delightfully, delicious Birthday! Thanks for sharing with us! Glad you had such a wonderful birthday dinner. Wish there were more restaurants like that.